Despite documents saying otherwise, systems with replacement parts still work. 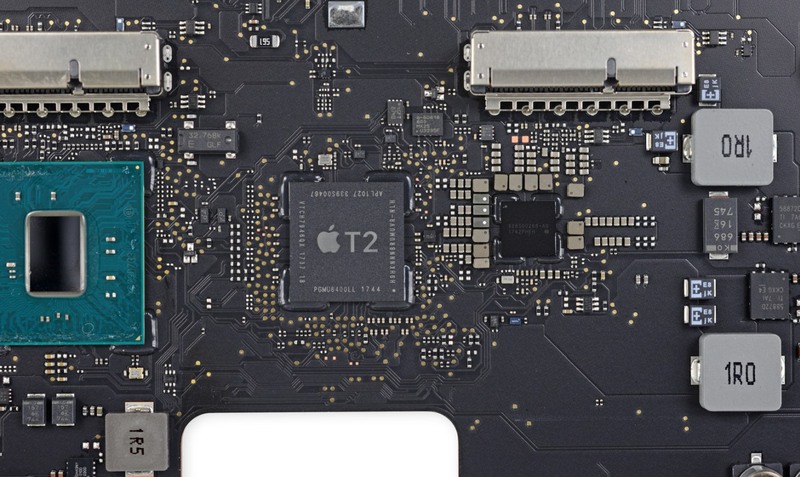 Yesterday MacRumors and Motherboard reported on Apple service documents that indicated anyone replacing key parts on computers equipped with its custom T2 chip would require special diagnostic software to finish the job. While Apple has not commented on the leaks itself, the DIY repair folks at iFixit tested out the possibility by buying a brand-new 2018 MacBook Pro, pulling it apart and replacing the display. Shocker: it still worked, even without the software. As they put it, any "secret repair kill switch hasn't been activated -- yet." So far, it has limited approaches that limit repairs based on security to the TouchID and FaceID sensors that require specialized software, as I noted yesterday, even though people have reported trouble with the ambient light sensor after replacing iPhone displays. While it's possible that a future software update could change things and make it require specialized software that only official Apple Stores and authorized service centers have access to, we're not there yet. Passing "right to repair" laws currently under consideration could be a big step to guaranteeing things stay that way.